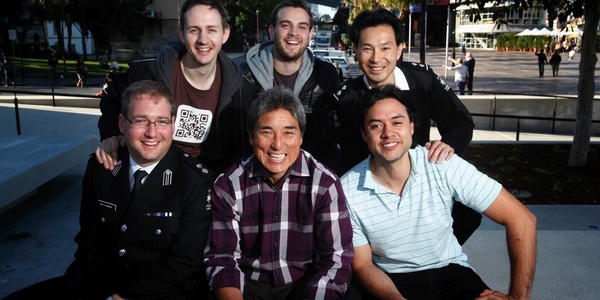 During Guy Kawasaki’s recent visit to Sydney, Marketing caught up with the social media wizard to chat apps, evangelising Apple and why he thinks Google Plus is like the Macintosh in the early days: underestimated. When you ask renowned social media wizard and one-time chief evangelist for Apple, Guy Kawasaki, if he has any tips for social media, he says no. It all comes down to finding what works for you, Kawasaki says, pointing out that he breaks many tenets of social media with his automated use of Twitter. He’s written 10 books, beginning in 1987 with The Macintosh Way, before arriving at his latest work, Enchantment: The Art of Changing Hearts, Minds and Actions – a look at the new level customer experience is moving towards. Marketing sat down with Kawasaki to ask him a few questions when he was in Australia recently judging the Vodafone Foundation’s App Aid event, a 48-hour ‘hackathon’ where developers ‘coded for a cause’ to create an app for a charity. Marketing: Content curation is being called the next big thing on the internet, and something that you’re leading the field in with Alltop. What are your tips for attracting customers using content? Kawasaki: First of all, that is a tip in and of itself that I think many people don’t realise. I think almost every post you make in social media should have a link… if you are Paris Hilton and you say, ‘I just bought the new Prius,’ then people would find that interesting, but these tweets about ‘my cat rolled over’ or ‘the line at Starbucks is long’, or whatever, are not that interest- ing. So I think a good post either provides information or analysis or assistance. What lessons have you learned from Alltop about content curation? Well, I think the macro lesson is that there are lots of people already generating content, maybe it’s not necessary for people to generate more content, but there is definitely a need for curation. So how do you weed through all that content? The reason why I like Alltop so much is I use it to find the stuff that I post every day. I make about 10 posts a day, so I can’t be going to 50 websites, one at a time, each of them with a different user interface. Alltop delivers everything in one place, so I can cherry pick to make posts. In your book, What the Plus, you say that Google’s social network, Google Plus, is as special as Macintosh. Why do you say that? I worked in Macintosh in the mid-eighties and a quick analysis of Macintosh in the mid-eighties is that it was better, used by fewer people and generally condemned by the experts. And I think today, fast forward to Google Plus. It’s better, used by fewer people and generally condemned by the experts. So this is a déjà vu experience for me. So there are some parallels there. But it is still growing, and it seems that the time that people spend on it and the number of people that have joined are still limiting its growth. Do you think it will overcome that? It’s tough to tell what the real numbers are, because Google defines it as a social layer, not simply a destination. Clearly, it’s much less used than Facebook or Twitter, but I think the right philosophical approach with Facebook is it’s for people you already know, and with Google Plus, it’s for people you’d like to get to know, because you share something of interest. I’m 50 years old. There’s not a lot that I share with either my high school or college classmates at this point; we’re just in totally separate directions. Trey Ratcliff – a famous photographer – happened to figure out I’m in Sydney because of my Google Plus posts, and he’s inviting me to a photo walk with other people who I don’t know who share my passion for photography. I can’t see that happening on Facebook. What tips do you have for marketers who are trying to use Google Plus with brand pages? I think the advice is not that much different. You have to earn the right to promote your product or service on any social media, and the way you do this is by providing value, and the way you provide value is information, assistance and analysis. So let’s say you have a food brand. You need to not just promote your own food, but promote articles that have to do with nutrition and fitness that would appeal to a foodie, that have nothing to do directly with your brand. And so you become a recognised expert in food, and then every once in a while you can promote your brand, but people are going to your fan page to learn about a passion, not about why they should buy your food. You’re very active on Twitter and very well followed. Do you think that your success on Twitter is down to the approach that you take, or is it down to the name that you already had for yourself and the content that sits behind you? I definitely got a faster start than most people because of who I was. I was never a Twitter suggested user, so I didn’t have that going for me, but if you look at my tweets, every one of them has a link in it, so that’s what I do. And a lot of this is automated on Twitter already. But that’s also something that people say is not the best way to go about Twitter, an automated approach isn’t what people want. Yeah, I violate two tenets of social media – one is I repeat my tweets, and a lot of them are contributor/ automated. I don’t know. It hasn’t hurt me, so that’s what I do. So people know what to expect from you? Yeah. It’s kind of like if I go to the Ralph Lauren store and I buy a shirt, I don’t expect that Ralph Lauren designed and made it. I buy the label. Is it about finding what works for you on Twitter? Even if it goes against the usual rules of social media? Well, I think the key is to understand that everything you do on social media, somebody is not going to like it. So the question is, is it one percent don’t like it and 99 percent like it, and are silent, or is it every- body doesn’t like it? I have about a million something followers on Twitter, so at any given point, no matter what I do, there are going to be 10 people who hate it. You just can’t let the 10 people change everything so that the other 999,990 then turn against you. So that’s a lesson in social media, you cannot make everybody happy. In your latest book, you talk about a concept of ‘enchantment’. Is that where you see the customer satisfaction paradigm moving towards? I hope so. It is a higher bar than simply satisfying a customer. This is taking it to another level where, for example, Apple has definitely enchanted tens of mil- lions of people, so much so that they will buy a phone without NFC (near field communication) and buy a new cable. So I think that is a test, and people are evangelists, they go beyond simply buying, they also tell other people to buy. You judged App Aid recently. What were you looking for in the apps that you were judging? These were apps that were created in a 48-hour hackathon and they were supposed to show off smartphone apps for social causes, and so what I was looking for is the relevance. Does it really save lives or prevent pollution or something like that? Does it take advantage of location-based capabilities? 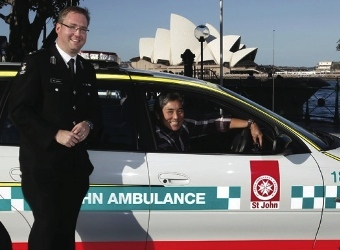 The winner was St John Ambulance, which, if you think about it, there are responders, and they need to know where the people who need help are. So it’s a pretty good match-up for location-based and smart- phones. What are some of the best ways that apps can provide value for people? Well, there is of course location-based. That’s very helpful, especially in an emergency. Pretty soon, phones will replace wallets, with NFC and, as credit cards embrace NFC, you won’t carry a wallet, you’ll just swipe your phone. I think that day is coming, even though iPhone 5 doesn’t have it. What do you think of Apple’s latest iPhone release? I wouldn’t say I was overwhelmed. I’ve been an Android user for a year now, so in America, if you’re an Android user, you’ve got 4G LTE, which is hugely fast. So I’ve had that for a year [and] they just got it. I happen to like the multitasking, multi-window aspect of Android. For sure I like NFC on Android, which is not available on iPhone. I can’t philosophically agree with this concept of changing the connector for the hell of it, but who am I? Apple is the most valuable company in the world.